This is your one-stop shop for the best resources & travel deals from the sites I use myself! Bookmark this page and check back before you book your trip for the latest updates. YOUR PASSPORT TO TRAVEL SAVINGS! Momondo is my favorite search engine! They always seem to find airlines that offer the BEST DEALS and their calendar view lets you see which days are cheapest to fly. They also search the small booking sites no one else does. This is my starting point for all flight searches. 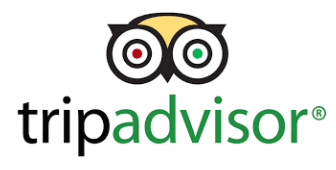 TripAdvisor makes it easy to find a great hotel deal by comparing prices from 200+ booking sites. Find the right hotel by reading reviews and also get a great deal. Vayama is known for their cheap international flights. and they offer a price match guarantee if you find it cheaper somewhere else. This link offers daily deals of 40% off or more on flights, hotels & bundle packages through Expedia. They change daily so bookmark this page and check back when you’re ready to book! For trips 3 days or less, I recommend getting a hotel. Use Hotels.com to get your 11th night free and unlock secret prices. they securely ship right to your door for FREE saving you money and a trip to the bank! then finds small amounts of money to set aside for you in a secure savings account. You can always tell Digit to save more or less and can access your savings at any time. Qapital is my other favorite savings app. This app lets you put certain “rules” in place which actually make saving kinda fun! My favorite is the “round up” rule where the app rounds up every purchase to the nearest $2 and you save the difference. You get to choose the rules and modify them anytime. VRBO is another great option for trips over 3 days. Since you are dealing directly with the owner you can negotiate prices for a better deal. Airbnb is great for if you’re going to stay in a place for more than 3 days. Get $35 off of your first adventure with this link. Make sure to follow me on Facebook to get error fares & amazing deals sent right to your feed! I post them as I find them so be sure to turn on notifications.